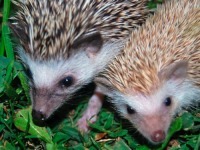 Featured Hedgehog Breeders. If you are interested in being listed on Hegehogs United, please visit the Apply page. 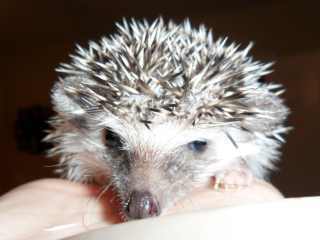 I am an African Pygmy Hedgehog Breeder located in Northeast, Alabama. I breed for health, temperament, and color. 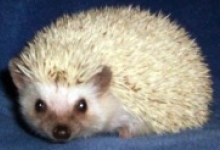 My herd is registered with the International Hedgehog Registry. My babies are handled daily with plenty of TLC. Prices range from $150-200.00. Please visit my webpage for available babies and for more information. I do not ship. I am a USDA licensed breeder in Northport AL (right next to Tuscaloosa). I have built a herd with animals from 8 USDA licensed breeders throughout the Midwestern and Southern US. 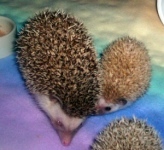 I am most interested in creating babies with good temperments and unique patterns (ie: split-faces, mismatched ears, high contrast between ear pinna and quills, etc...). My herd is 22 animals strong at this time with 7 very unique males, which means I should beable to produce some very interesting babies! Personally, I have a Masters degree in reproduction and endocrinology and I am pursuing a Ph.D. in Integrative Animal Behavior at the University of Alabama. Hazel Mountain is a temperament-focused breeder owned and operated by a veterinary technician. Colors produced are primarily grey, chocolate, brown, and pinto but we are expanding to include other colors. 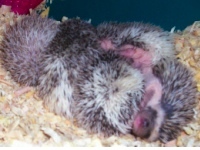 Hedgehogs average $150 and go home with care info, food sample, snuggle fleece, and toys. Colorful Quills is a small USDA licensed hobby breeder located just outside of Colorado Springs. 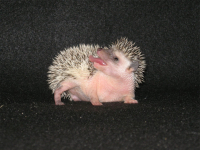 We strive to produce healthy hedgehogs with great social temperaments. We currently have a variety of colors and markings. All our babies will come with a birth certificate, a week's worth of food, care sheet, and continued support. 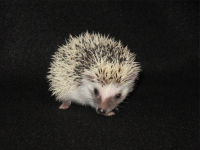 Grand Mesa Hedgehogs strives to produce happy, healthy hedgehogs for a reasonable price! We are the only USDA Licensed Breeder on the Western Slope of Colorado. 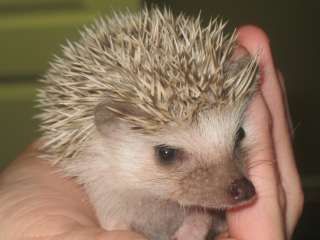 We provide quality hedgehogs, focusing on health and temperament so that our babies will make excellent pets! We have a wide range of colors available and all of our babies come with a health guarantee. Check us out at Grand Mesa Hedgehogs or call (970) 314-0069 for more information. 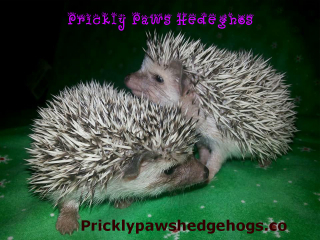 Prickly Paws Is a UDSA Breeder We strive to produce Happy and Healthy Hedgehogs! Have a wide variety of colors to choose from, breed for health and temperament. When you get a pet from us, you will be 100% satisfied! Prickly Paws Hedgehogs will do only the best for you. 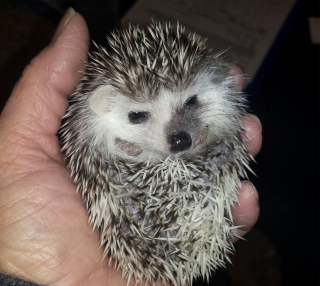 Small hobby breeder, offering quality, healthy hedgehogs in southeastern Connecticut. We are striving to produce quality Hedgehogs who are raised in our home and cared for by my family to become a wonderful pet for your family. 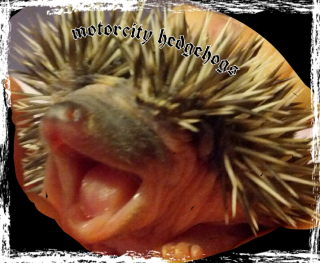 SECT Hedgehogs takes pride in the Hedgehogs we produce and their care and well being is our first priority. 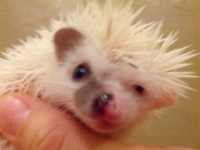 We are USDA licensed breeders of African Pygmy Hedgehogs. Our babies are socialized from the time they are 2 weeks old until they go to their forever homes. We have produced many different colors: Salt n Pepper, Grays, Pintos, Reverse Pintos, Cinnamons, Albinos, Cinnacots, Split Faces, White Faces, snowflakes, Blazes, Confettis and more. 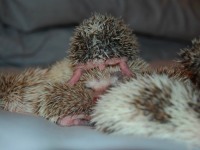 Except for the specialty hedgehogs (Splitface/Whiteface/Blaze $175 - $200) all our babies are $150.00. We guarantee our animals and against congenital defects and WHS. 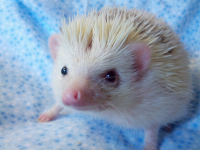 See our website for available animals and how to reserve your very own hedgie, or visit us on Facebook and see what others are saying about us! 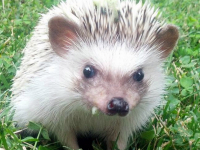 USDA licensed hedgehog breeder located near Des Moines, Iowa. 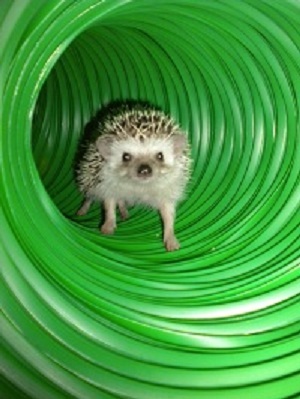 Striving to produce healthy, well-socialized hedgehogs that will make wonderful pets. Please contact me for information regarding shipping. We take pride in our hedgies as a family and we are thankful that the Lord has blessed us with a hobby we can all enjoy together. We begin handling our babies as soon as possible in order to ensure proper socialization. All babies come with a 1 year genetic health warranty, as well as a lifetime warranty for WHS. Rescues occasionally available. 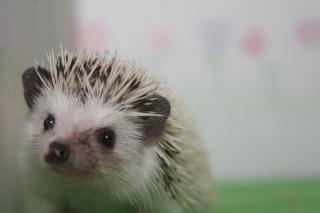 We do our best to produce healthy and well socialized hedgehogs. Our babies are handled daily at a young age. 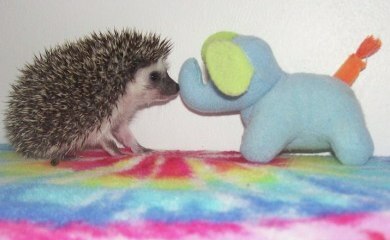 We take the time to teach our customers and future hedgehog owners all about their new quilly family member. We want the best for our babies! All of our babies come with a lifetime guarantee against WHS. We offer post sale support for each animal sold. 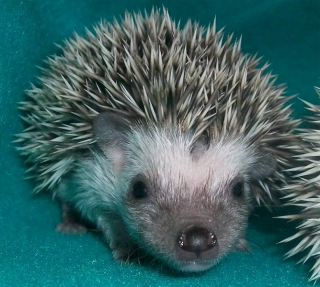 I also accept rescue hedgehogs and will help with rehoming hedgies - no judgement, for any reason. 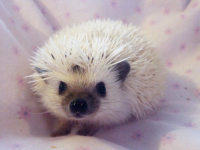 You may set your own rehoming price, I am not doing this for the money but to make sure that your hedgie finds a good home. 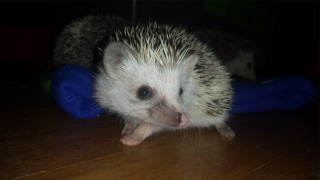 I do require applications to be filled out for rescues and hedgies in need of a new home. 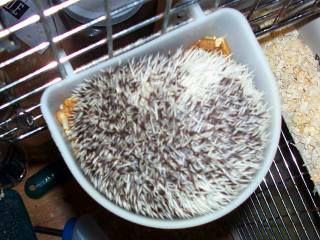 My hedgies are raised on Blue Buffalo Wilderness Cat Food, Chicken. For bedding I use aspen shavings. If you would like to reserve a baby I ask for a $20 non-refundable deposit which is applied to the total. I charge $150 for males and $175 for females; I do occasionally have a retired adult available, their prices depend on their age. Should you have any questions about hedgehog care, please feel free to ask, I am more than happy to help. If you ever need to rehome your hedgehog, I take them in as a rescue or else I can generally help you to adopt out your hedgie. If you are a breeder who is looking for breeding stock, please let me know so that I can make sure that you are getting a baby that would be appropriate for breeding. I also only provide pedigrees on my babies to breeders. I reserve the right to keep any baby(s) from a litter for breeding stock. We are the only USDA licensed breeder in New York State. 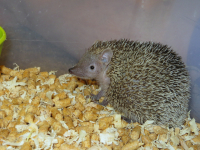 And proud to be the largest breeder of hedgehogs and tenrecs in the north east. Our usda license number is 21-B-0164. Were a family owned business located in Niagara Falls, New York. 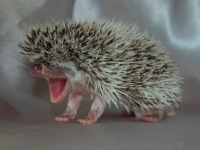 Our breeding stock is quite extensive, so we pretty much have baby hedgehogs available all the time. Our goal is to have a trendy unique web site that is educational yet informative. 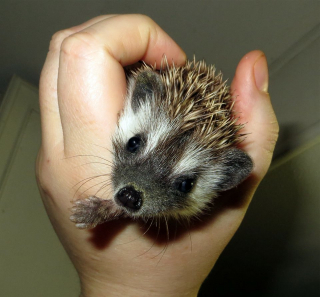 But our ultimate goal is to be a top breeder of quality, healthy and happy hedgehogs with excellent temperaments. 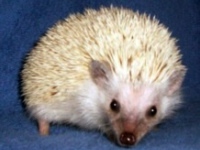 Please visit our website at: www.hogheavenhedgehogs.com You may also call us at: 716/298-5025. We are on call 24/7, THANK-YOU!! 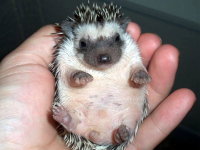 Here at Carolina Storm Hedgehogs we breed for health and temperment first and foremost. All our hoglets come with a pedigree, health guarantee, food and a carolina storm hedgehog wheel. Please visit our website for more details at Carolina Storm Hedgehogs. At Millermeade Farms we do our very best to produce quality animals and to offer our customers a unique buying experience. We provide a relaxed environment where customers can come, sit down and play with babies, learn how to handle them and choose a baby based on its personality. 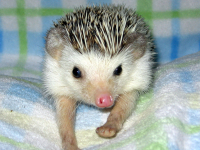 We are USDA licensed and have been breeding hedgehogs since 1997. 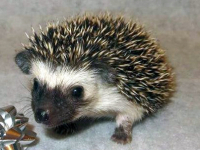 We are willing to share our knowledge and experience with you both before and after your hedgehog purchase. Our babies are 6-8 weeks old when they go to new homes and we typically have a variety of colors available. 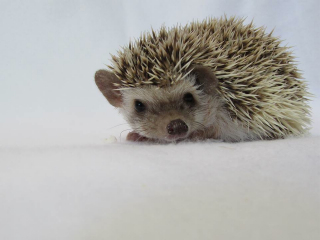 We carry a large selection of hedgehog items and provide cage package discounts to help new pet owners to get off to a great start with their pet. 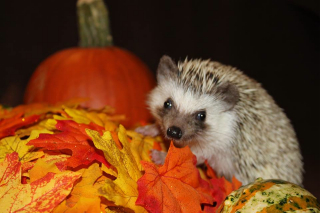 Our prices are $100 (cash) for pet hedgehogs and we have a $10 discount if you purchase a cage package. Breeding Stock prices are higher and come with more buying benefits. Prices are subject to change and a full description of our policies and pricing is detailed on our website under "Purchasing From Us". Our Learning Center and Shop is located just one mile south of the OH turnpike in northwest OH. We are within a two-hour drive of Detroit, Ann Arbor, and Lansing, Michigan. We are 2.5 hours from Cleveland, OH and 3 hours from Columbus, OH, Dayton, OH, Indianapolis, IN and Chicago, IL. We have discount rates at a local hotel for customers planning a weekend adventure. We also have a Road Show Seminar once a month at the Midwest Reptile Show in Indianapolis, IN. Many of our Southern Indiana, Kentucky, and Tennessee customers choose to meet us at our Road Show. Reservations for the Seminar are recommended. 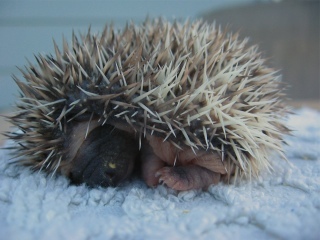 Check out our website for pictures and more information about the care and keeping of hedgehogs. HuckStar Hedgehogs, located in North East Ohio, was the vision of two moms who happened upon meeting our first hedgehog in a pet shop of all places. Once we started planning and implementing our breeding program, we were even more determined to become amongst the best of all breeders this country has to offer. Being the best doesn't mean we are the biggest. It means we have a true love for the hedgehog, and are committed to giving them the best living environment and attention. The end result being a wonderful companion animal for others to enjoy. 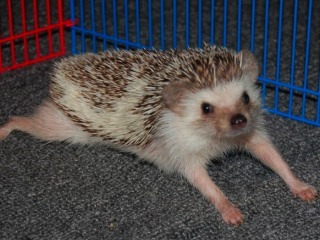 Our hedgies are raised in our homes, in spacious cages, are handled daily, and are among our families and furry friends. We do NOT breed for profit, and strongly oppose breeding ANY domestic animal for profit. This leads to exploitation and maltreatment of animals. Most quality breeders put as much investment into their business than they will ever see in profit. We are advocates of treating all domestic animals with kindness and the best of care. Acquiring a domesticated animal should never be an impulse decision and should be well researched keeping in mind this is a commitment for the lifetime of the chosen animal. 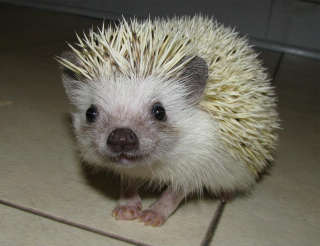 All breeding hedgehogs have been carefully selected from USDA licensed breeders, using only their quality stock. 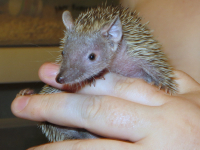 Our breeding stock contains (or are descendants of) a variety of facially pintoed and animals with uniquely marked quills. We hope to offer a variety of colors, with a strong focus on blacks. We offer a 1 year guarantee against genetic disorders, and LT warranty against WHS. 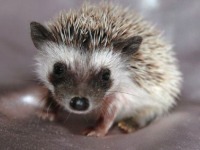 All hedgie babies are $175 and come with an educational folder and aftercare support. Pedigrees are available to USDA breeders. 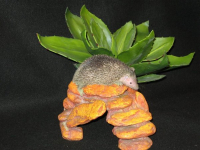 I am a small USDA certified breeder of African Pygmy Hedgehogs. Our Hedgehogs are handled daily, and are well socialized. We have a lifetime guarantee against WHS. Colors range from Algerian Chocolate to light Cinnamon, solids, pintos, and even split face markings. My self along with the help of my daughter (Miah) have started one of the only 4-H clubs for hedgehogs on the West Coast. The 4-H club has been so educational and fun! The club members enjoy showing, and learning more about the exotic breed along with being active in the community. 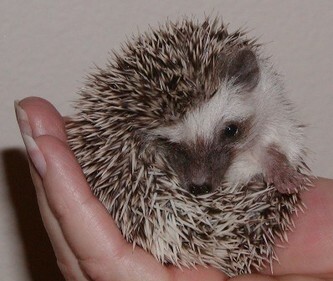 All Babies will come with pedigree and are registered with the International Hedgehogs Registry. Northern Plains Hedgehogs is a USDA Licensed Breeder located in northeast South Dakota and serving the upper Midwestern states. 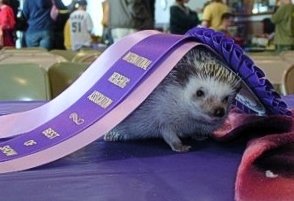 We strive to produce quality, healthy hedgehogs that are well-socialized. We usually have a wide variety of colors and patterns available. All of our babies come with a lifetime health guarantee against WHS, a birth certificate, a care guide, along with a few other things. We take great pride in the babies we produce, and we make sure they are friendly and well-socialized before going to their new home. If you would like more information about us or our hedgehogs, please go to our website to see what babies we currently have available, or just more information about hedgehogs. 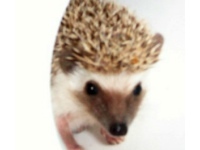 We have a lot of information regarding hedgehog facts, care, supplies, food, handling, and much more. We can also be found on Facebook. Just search for Northern Plains Hedgehogs. Contact: Please use Happy Hogs Website for contact information. Happy Hogs is one of the longest standing breeders in the state of Texas. 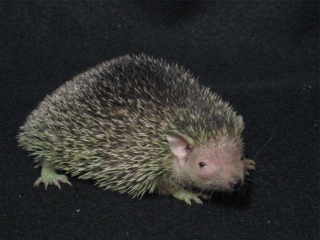 They breed many colors of social, pedigreed African Pygmy Hedgehogs as well as breeding Lesser Hedgehog Tenrecs (Echinops Telfairi). 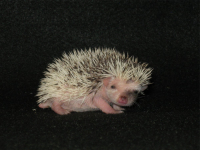 Various supplies and items are available when you pick up your hoglet, and some are even available for shipping. And life-long support is always available. You can contact this breeder through their website. 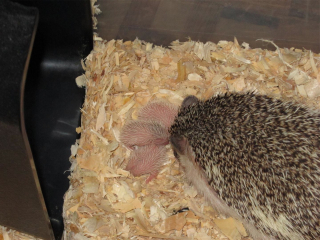 Needlework Hedgehogs is a quality hedgehog breeder located in Richmond, VA. All of their babies are pedigreed, registered, and guaranteed against genetic diseases. Being a smaller breeder, their babies are well socialized. 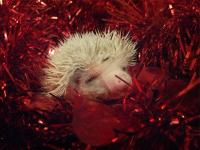 They also create handmade hedgehog supplies and gifts. Whole Harted Hedgies is USDA licensed and is located near Lacrosse WI. We can sometimes meet people, and can discuss shipping if needed. We breed for health and temperament, but also like to see some fun colors!